Adelaide Festival has delighted audiences for over 55 years with an outstanding mix of internationally acclaimed theatre productions, an eclectic array of world-class musicians, breathtaking dance pieces, renowned writers and striking visual arts displays. Enjoyed amid warm March days and starry nights, Adelaide Festival’s celebration of creative excellence makes for an event of truly epic proportions. 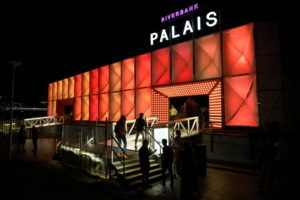 In 2017, The Balnaves Foundation supported the development of a new festival venue, The Riverside Palais. In 2018, The Balnaves Foundation will again support The Riverside Palais and the production of Thyestes. In 2019, The Balnaves Foundation will be supporting Gravity & Other Myths’ production of Out of Chaos. Find out more about 2019 Adelaide Festival here.